Although I am a huge fan of the beach, one thing I cannot do is surf… but the fascination is there. Maybe given enough time to practice, I probably might be able to do it. Maybe not a pro but at least I can. Living in Manila where else can you go to learn the sport but in the birthplace of surfing the country, Baler in Aurora Province. This is not my first time to go to a surf beach. November of last year, I went to La Union together with some friends. But with so little time I was able to try surfing only for an hour and by the time I went to Baler, I already forgot the basics. My trip to Baler wasn’t supposed to be solo. It was organized by an office mate but due to some circumstances, they cancelled last minute and I was the only one left who’s willing to still give it a go. With no plans and accommodation, I did my research just few hours before I plan to leave at 8am which is the time I get out from work Saturday morning. Later that I found out that the last trip for a regular air-conditioned bus direct to Baler is at 7:30am. But I still tried my luck and see if they added additional trips since it’s already the start of the summer season. When I arrived at the Genesis bus terminal in Cubao, they have a bus that will be leaving at 12 noon. That’s not practical for me! The trip will going be at least 6 hours and by the time I will arrive in Baler, it’s already dark and probably I will only get a sleep due to exhaustion coming from a night shift job and long bus travel. 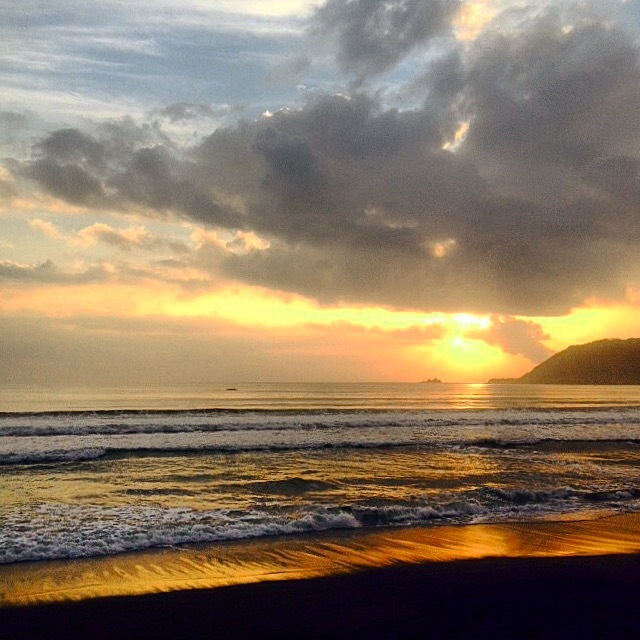 I wanted to be in Baler at least during sunset and probably checkout what the night scene of Baler offers. Since the 12noon Baler bound bus is no good for me, I took the Cabanatuan bound bus of ES Transport. After roughly around 3 hours I arrived in Cabanatuan central terminal and then catch an Aurora Bus bound to Baler. At around 5pm I arrived in Baler just in time for me to look for a place to stay and see the sunset. With the help of my tricycle driver Kuya Tolits who I met at the bus station, we checked each and every transient homes/inns he knew. Most of the places we checked were fully booked since it was a weekend. Luckily Aplaya transient in Sabang beach has an available kubo (native hut) but still on hold for some other guests who haven’t decided if they will get it. With my convincing powers (if there really is), they finally decided to give it to me since I am the one who’s already sure. Aside from that they gave me a discount from 800Php a night to just 500Php since I am alone. The kubo is huge enough for 3 guests with comfortable mattress and common bathroom. 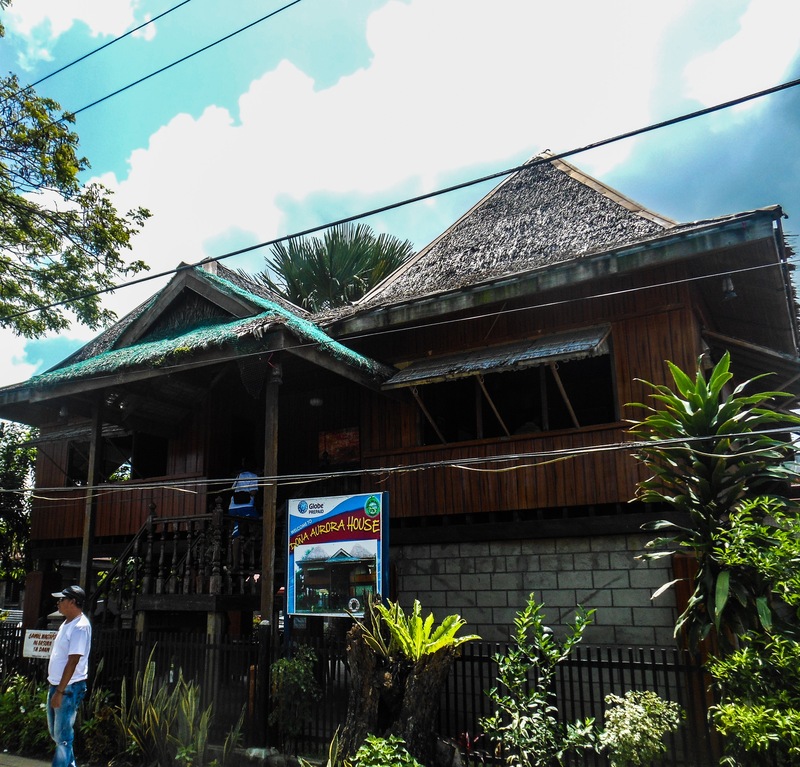 It is also facing the beach and just beside a surf school so everything is just few steps away. After taking care of my temporary home in Baler, I immediately went out and to see the sunset. Although it’s not as vibrant compared to the one in La Union since it’s facing the east, it’s still very nice and relaxing to watch. After sunset I walked a few distance to eat dinner at Gerry Shan’s buffet restaurant in Sabang for only 200Php. After dinner, though I still wanted to see more of Baler at night I am already very tired so I just decided to call it a day. The next morning I initially planned to surf and just relax and start Baler tour at noon. I met up with Kuya Tolits again who will be my guide for the tour. He advised to start the tour as early as possible and just surf in the afternoon as the waves were better that time. With the recommendation I packed my cameras on my dry bag and hopped into his tricycle. By just looking on its name, yes it’s a hill. 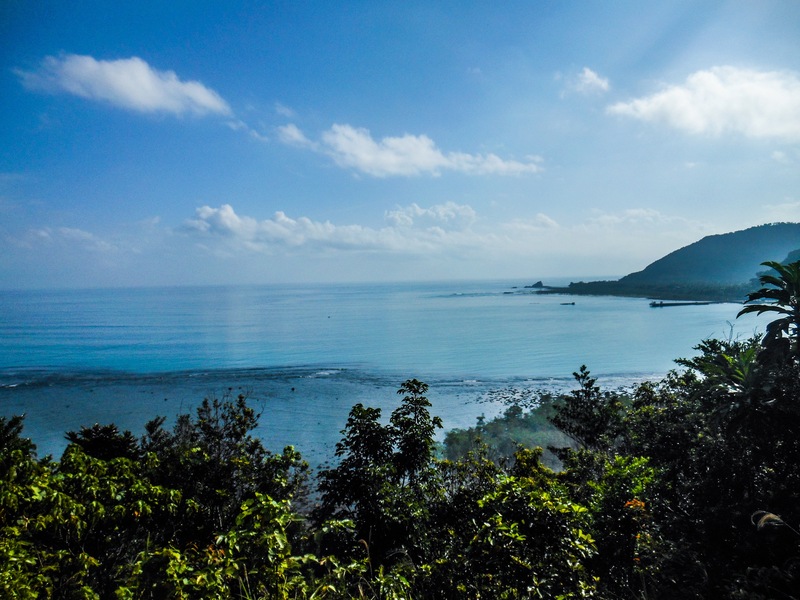 It offers a panoramic view of the Pacific Ocean and Sabang beach on the left. The hill played an important role of Baler’s history as a safe place of the only survivors of a tsunami disaster in 1735. Accessible just beside the road, you can climb up to its multiple levels. 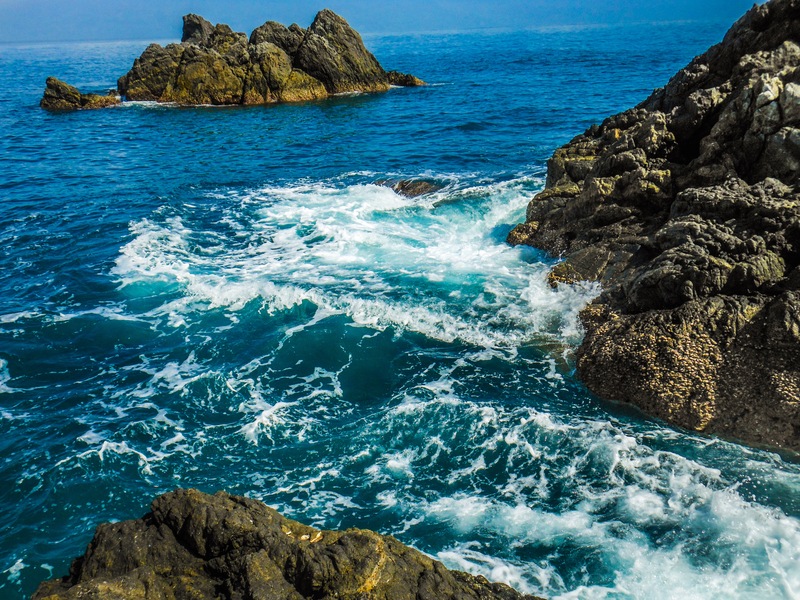 It’s a rocky beach with islets that you can reach by just walking from the shore. According to my guide, this is where professional surfers go and competitions were held as the waves here are huge and perfect for surfing. Entrance to enter the resort is 20Php. Maintained by AMCO Beach resort, it offers a cream sandy beach and a swimming pool. 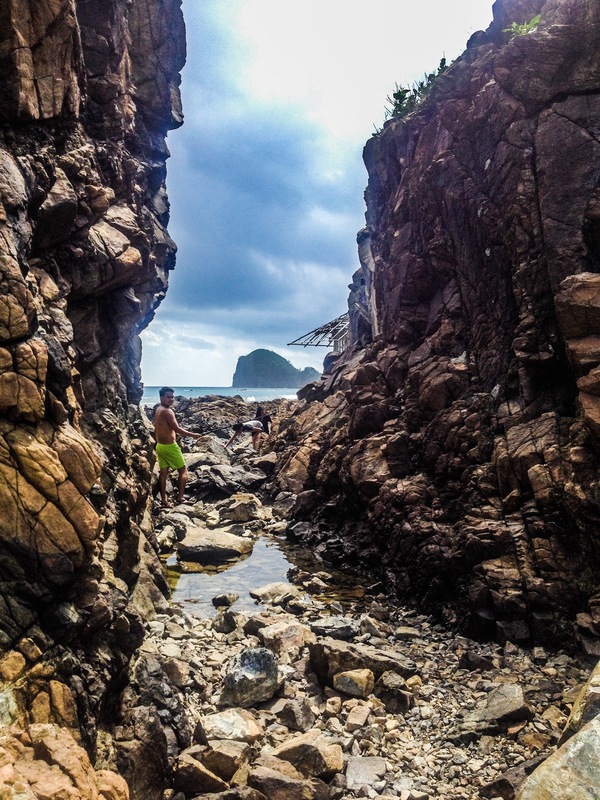 It also has huge rock formations or islets that are perfect for photo sessions. Entrance fee is also 20Php and that includes the use of the pool. 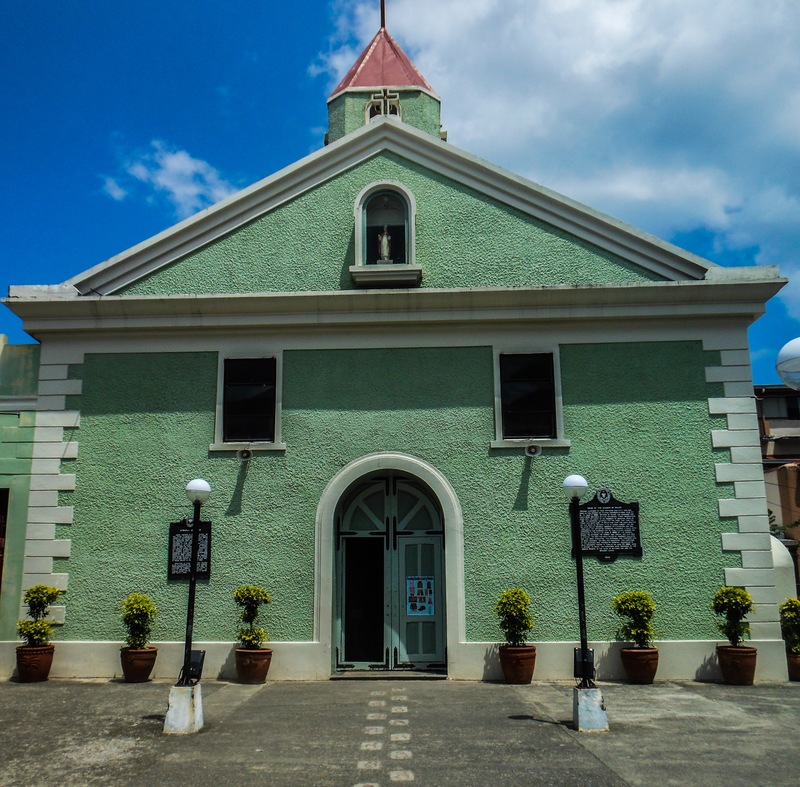 Located in the town proper of Baler, the restored house of Doña Aurora is open to public viewing. It also has the car of President Manuel Quezon on display. Entrance fee is 30Php which also covers Museo de Baler. Right in front of Doña Aurora’s house is where Baler church is. I didn’t went inside as a sign of respect because I am only wearing tank top and shorts which is a little wet. If you are a fan of the local movie “Baler”,starring Anne Curtis and Jericho Rosales, well the place is for you. It houses some of the props and costumes used in the movie. 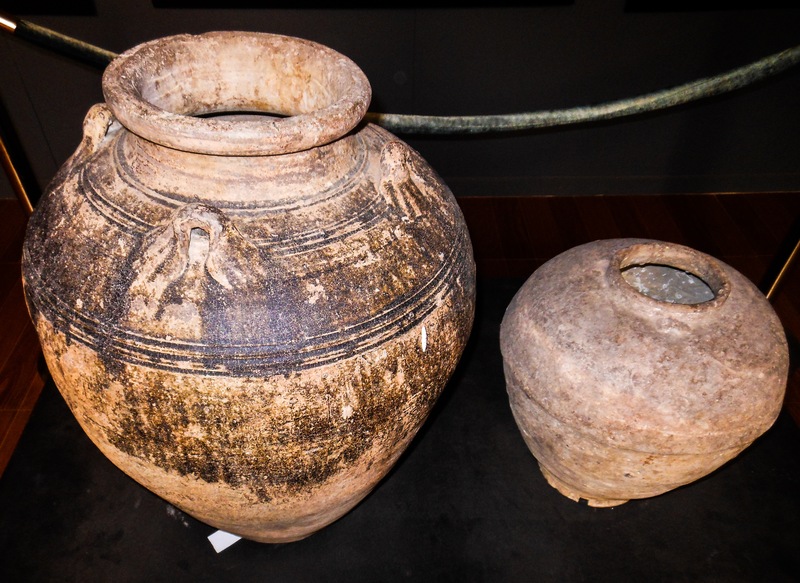 Antique Chinese plates, jars and Church bells were also on display, together with some photographs and paintings. Some of the old jars on display. Aside from surfing, this is probably the main reason why I wanted to go to Baler. Though not really located in Baler but in the town on San Luis, Aurora, it is few minutes away by tricycle with some 20-30minutes hike. The hike wasn’t that hard. The only challenge is walking on sometimes knee high river and balancing on rocks. 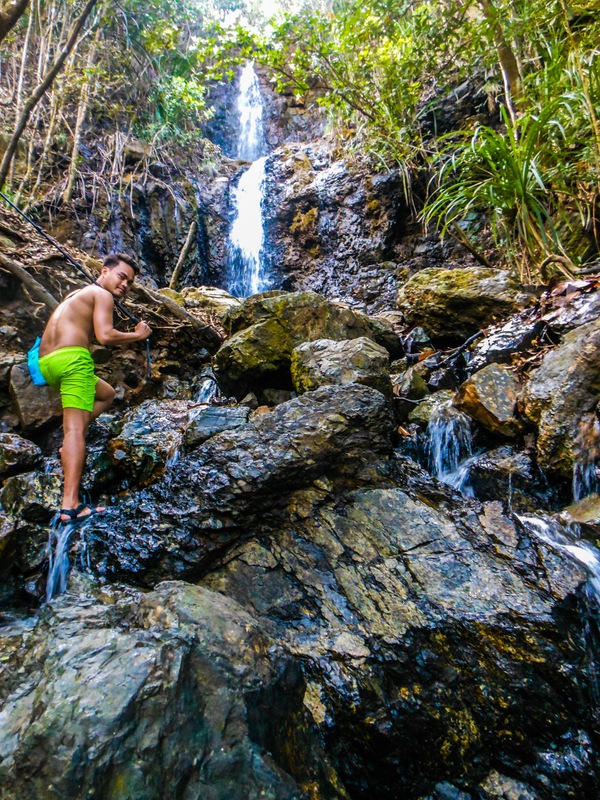 The trail can get crowded as well due to the falls popularity so it’s important that you can manage to balance yourself on river rocks to avoid the usual trail traffic. 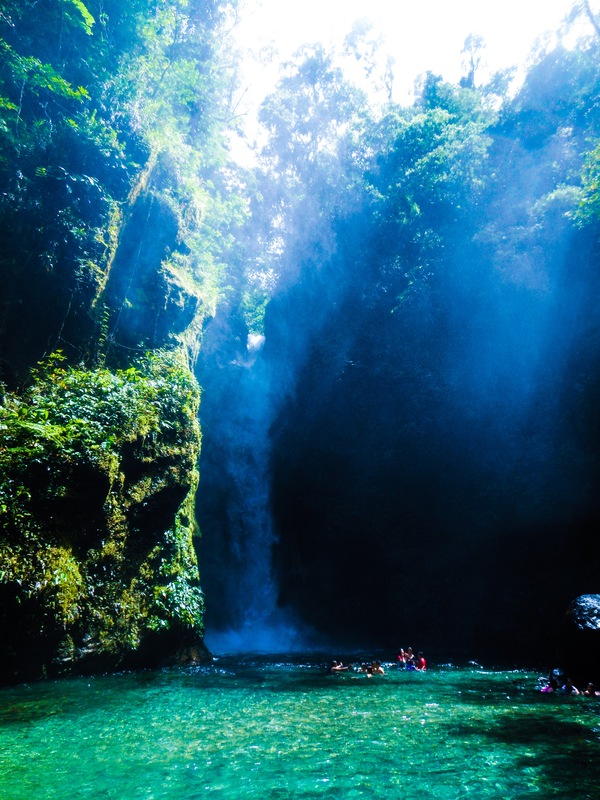 The Mother Falls of Aurora also known as Ditumabo Falls. The falls is really huge and beautiful. It’s just quite difficult to capture a perfect shot because of mists all over the area. The catch basin on its bottom also has a wide area of shallow water perfect for swimming. You can brave swimming against the current were the water falls but be careful going very near as it could really push you down and it’s quite deep. Avoid going to the left side as well as there is a small cave that the water can push you inside and it’s very hard to get out. If there is one thing that I wasn’t really interested to see in Baler initially is this tree. For me, it’s just an ordinary Balete tree which I am used of seeing since I was a child. But since I am already there and its part of the tour, then why not check it out. The tree is not really in Baler but in the town of Maria Aurora. When I arrived in the park where the tree is, I realized that it will be a big mistake for me if I decided not to go here. The tree is so amazingly huge that it would take around 60 people to circumscribe. It’s like being on the movie avatar. You can also go inside the tree which is a unique experience. After the tour, we went back to my kubo in Sabang so I can try surfing. Thanks to Kuya Tolits because he stayed with me to take pictures. I took the 1 hour surf lesson for 350Php which includes the board and the instructor. I was able to make few rides, but probably because I went to the tour the whole day and was already tired, I got cramps on my left leg which ruined the other half hour of the lesson. After that, I kept on falling from the board already and can barely balance myself. Next time, I probably just allot a day just to surf. I didn’t realize how tiring the tour will be that I already lost all my energy when I went surfing. We’ll it’s another reason to comeback. Baler has a lot more to offer aside from the site I visited. Maybe next time, I will visit the father falls which according to Kuya Tolits was a lot bigger than Mother falls but it would take half day trek just to go there. 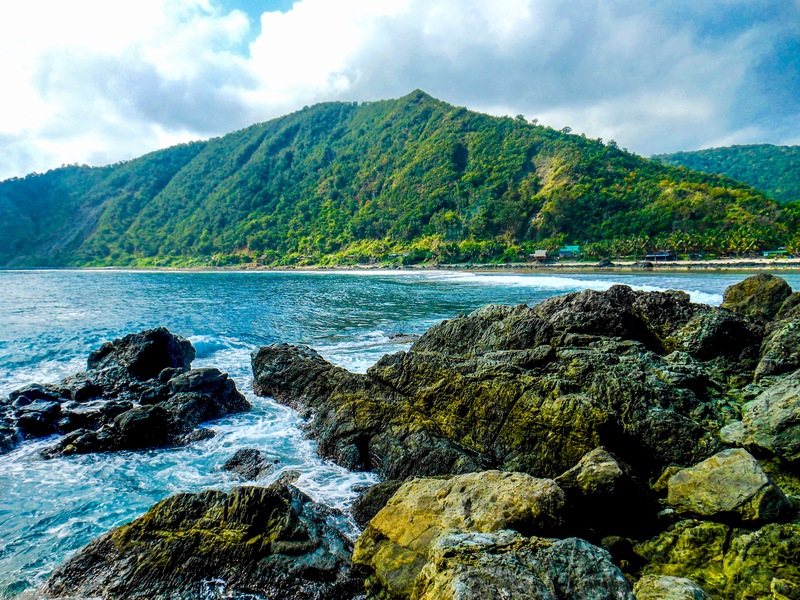 Baler has a lot more to offer aside from surfing. One thing I realized is that a weekend is not really enough to explore this part of the country. We’ll it is still good to explore it one at a time. There is always another reason to comeback. It’s also very accessible from Manila that it’s possible to visit it every weekend. If you are not a fan of long road trip, the town has its own airport with commercial flights. I just wasn’t sure about the schedules. As far as I know there is only 1 airline that flies Manila- Baler route. Special thanks to Kuya Tolits for being my Photographer. If you want to get his services, you can reach him on the numbers below. He is a tricycle driver and also a registered guide in Baler. The standard tour rate by the time of writing is 800Php which is good for 3 persons. Thank you for sharing sir! Never thought visiting Baler alone is possible. We went there last year with a huge crowd. Glad to see that it’s still equally beautiful. Could you please give me a complete itinerary for your solo vacation? It would really help me a lot! I’ll be going there around end of December! Hi Miaca, I actually don’t have an itinerary on this trip since I was expecting my supposed to be companions to do it. Apparently, they cancelled last minute and I still want to give it a go and I ended up going solo. It’s pretty easy though, just get on a bus (Genesis) from Cubao going to Baler. Be sure to leave as early as possible to avoid the traffic and of course enjoy your first day, rather than arriving there in the evening since the travel will take 6 hours. As soon as you arrive, there are tricycles at the station who can be your tour guide for the day or you can contact my tour guide Kuya Tolits (numbers on the article). He can also arrange your accommodation if you don’t want to spend a lot on high end hotels.